The Hammer's weight reaches 28LB when fully loaded with lead shot. It can survive training, no matter the conditions. And the pipe length offers more leverage than a traditional sledgehammer so that you can exert maximal force, no matter the target. The rallying cry, "SISU" (the Finnish word for stubborn determination) is laser-etched on the hammer head to remind you to continue on. Make every strike count. SISU War Hammer is rated 4.9 out of 5 by 20. Rated 5 out of 5 by Kage To Tora from Perfect It's wonderful. I love this tool. Im of nordic lineage so this wish fulfillment to the nth level. I use it with sandbags and onnit clubs. Works the whole body and especially grip and explosive power. Cannot reccomend this tool enough. Rated 5 out of 5 by DanC from This Hammer rocks! I bought this hammer 2 weeks ago Only one word to describe it “Awesome”! Great finisher after a shoulder workout. Excellent for overall core and power. Rated 5 out of 5 by Scotty from Top quality ! I use this since 1 month ... The quality construction is so good ! 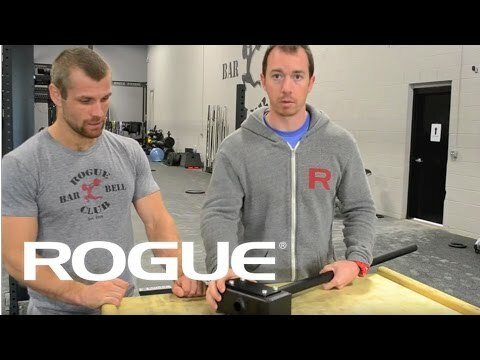 Love Rogue gear ! I like to use with my tire or other things !